Payment Wallets have been the talk of the town recently with the widespread popularity of PAYTM. 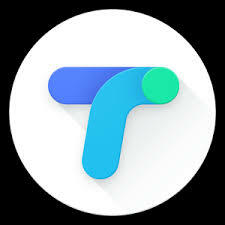 Google has started its Payment Wallet TEZ which is unique of its kind and is providing an easy option for transfer of money through smartphones. This article reviews Tez App Review and tips for Earning Money through Tez. Below is the video of how Tez Works. Tez is the Google Payment Wallet through which you can easily transfer money from UPI enabled accounts. Tez has become very popular with their scratch cards whenever you transfer or receive payment from friends for more than 150 rupees. Tez has received wide popularity in India as people started using Tez App for split wise transactions when they do parties. Now some interesting ways to earn money from Tez App. 1. Install Tez App from Tez Link. If you join with this referral link of TEZ, you earn Rs.51 and I will earn Rs.51 when you make the first payment with TEZ. 2. Once Tez App is installed, link your bank account which has UPI enabled with TEZ. Then you are ready with Tez. 3. Tez is highly secured. You can easily transfer money to your friends or colleagues if you have a TEZ account enabled on your smartphone. Moreover, you will get scratch cards for every transfer which is more than 150 rupees. This gives you a chance to win up to Rs.1000 for each scratch. However, there are restrictions on the number of scratches that you received through Google Tez App. 4. There is a bumper draw presently every Friday if you transfer more than Rs.500 through Google Tez App. For this, you could win up to Rs.1 Lakh rupees. With Google high security and power of banking through your smartphone, Tez is fast becoming the most used Payment Wallet in India. Do share your views on Google Tez App.